LA TIMES: ‘Viet Stories’ exhibit highlights the struggles and achievements of Vietnamese in the U.S.
Come meet the artists featured in the exhibition who will be in the gallery that day! 1:00pm-2:30pm: Free Culinary Panel in Theater 37 followed by Q&A. Come learn from & meet the remarkable owners/chefs/entrepreneurs featured: Kim Ng-Luu of Cassia Restaurant in Santa Monica; Karen Nguyen of Inspired Art Wine in Costa Mesa; and Aileen & Thomas Huynh of Monarch 9 Cafe in Yorba Linda (will be in English). BONUS in Theater 37: Foodie Film Screening of two short documentaries: “Sriracha” and “Beyond Pho” shown twice at 11:00am-12:00pm and 12:00pm-1:00pm. “Sriracha,” a documentary film by Griffin Hammond, features hot sauce founder David Tran. “Beyond Pho,” part of The Migrant Kitchen (KCET series), features Kim Ng-Luu & Bryant Ng of Cassia Restaurant, Diep Tran of Good Girl Dinette & Minh Phan of Porridge & Puffs. 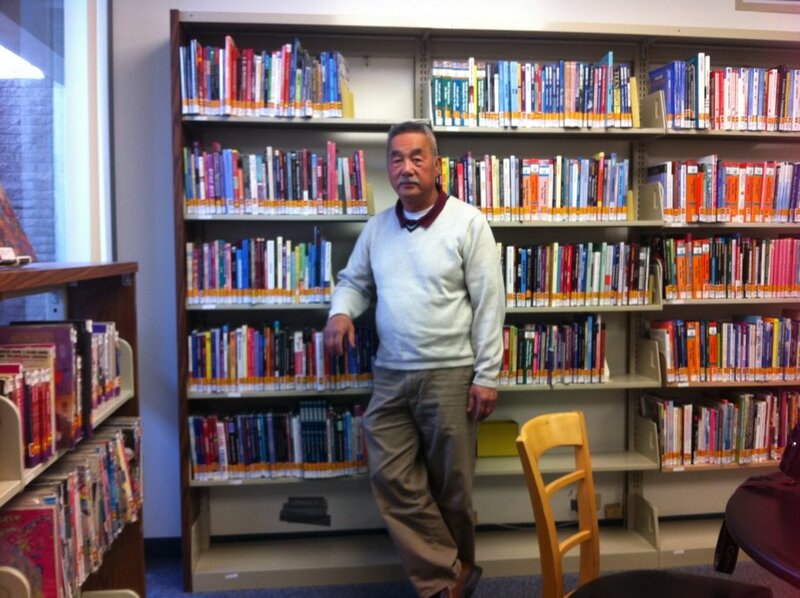 Both David Tran & Kim Luu-Ng were interviewed in the Viet Stories: Vietnamese American Oral History Project. THIS EVENT IS FREE & OPEN TO THE PUBLIC. Parking is complimentary. RSVP NOW TO RESERVE YOUR TICKETS. THIS EVENT IS FREE & OPEN TO THE PUBLIC, SO RSVP NOW TO RESERVE YOUR TICKETS. Seating is open, not assigned. Inspired by the true stories of Vietnamese refugees who fled their country after the fall of Saigon in 1975—and those who were forced to stay behind —Journey From The Fall depicts one family’s struggle for freedom. Directed/Written by Ham Tram; Produced by Lam Nguyen; Costume Designed by Bao Tranchi; and Starring Kieu Chinh, Long Nguyen, Diem Lien, Nguyen Thai Nguyen, Jayvee Mai The Hiep, Khanh Doan & Cat Ly. Viet Stories: Vietnamese American Oral History project at the University of California, Irvine is pleased to announce the opening of VIET STORIES: Recollections and Regenerations, an art, history, and oral history exhibition in the Rose Hills Foundation Gallery at the Richard Nixon Presidential Library and Museum in Yorba Linda, California from February 17, 2018 to May 28, 2018. VIET STORIES remembers the past and captures the diversity and transformation of the contemporary Vietnamese American community. It incorporates the history of refugees and immigrants from Vietnam over the last 40+ years through historical photographs, documents, artifacts, oral history interviews, and original artwork by prominent Vietnamese American artists. 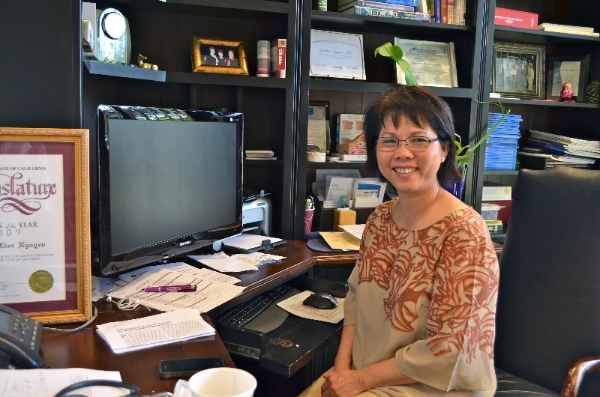 Vietnamese Americans have lived in extraordinary times, surviving war, displacement, and resettlement. 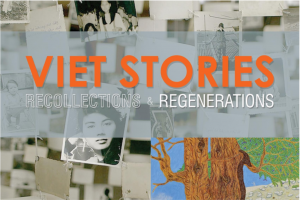 VIET STORIES: Recollections & Regenerations remembers the past and captures the contemporary transformation of Vietnamese communities in the U.S. Since the end of the Vietnam War in 1975, significant numbers of Vietnamese refugees and immigrants have arrived in this country, numbering almost two million, the largest outside of Vietnam. Many Vietnamese Americans were forced to destroy their family documents, photographs, and mementos in order to survive, while others lost these materials during the chaos of war and evacuation. The rare artifacts and photographs along with the narratives on display illustrate that there is no singular Vietnamese American experience. The collection of original artwork showcases artists of different generations using various genres to express the range of identities and journeys. As you engage and interact with the art, oral histories, and histories on display, we hope you will gain a more in-depth understanding of America’s diversity. Highlighted artists include: Ann Phong, Be Ky, Binh Danh, Chau Thuy, Dinh Q. Le, Ho Thanh Duc, Howard Hao Vy Tran, Hung Viet Nguyen, Long Nguyen, Nguyen Dong, Nguyen Khai, Nguyen Ly, Nguyen Thi Hop, N Tuan, Tiffany Le, and Thuy Linh Bennet Kang, Vi Ly. Also featured are fashion designers: Bao Tranchi, Taryn Rose, and Thai Nguyen as well as jewelry artist Chi Huynh. This exhibition is co-curated by Dr. Linda Trinh Vo, Director of Viet Stories: Vietnamese American Oral History Project and Professor at UC Irvine, and Tram Le, External Consultant, and Arts & Culture Specialist for the City of Santa Ana. Free education group tours for educators and students are available by registering online (specify “VIET STORIES Exhibition” in “Remarks” section of form). Visit our Facebook for updated info. The museum, which is part of the National Archives and Records, is located at 18001 Yorba Linda Blvd., Yorba Linda, CA 92886. Museum Hours: Monday-Saturday 10:00am-5:00pm & Sunday 11:00am-5:00pm. Paid admission fees to visit the permanent museum galleries will also allow you entrance to the VIET STORIES exhibition. Parking at the Nixon Museum is free. For admission & directions: www.nixonlibrary.gov or call (714) 983-9120. This exhibition is a partnership between Viet Stories: Vietnamese American Oral History Project at the University of California, Irvine and the Richard Nixon Presidential Library & Museum. OC Parks; Advance Beauty College, and Monarch 9 Cafe. AARP, and the National Archives Foundation.